Thirty SMEs enjoyed a cracking Christmas lunch at The Point Hotel on Thursday 19 December 2013 hosted by Ignite’s internet marketing agency, The Nth Degree. Following the lunch, Lincolnshire-based business training consultant, Matthew Storey, (pictured left) gave a short presentation on improving customer service. 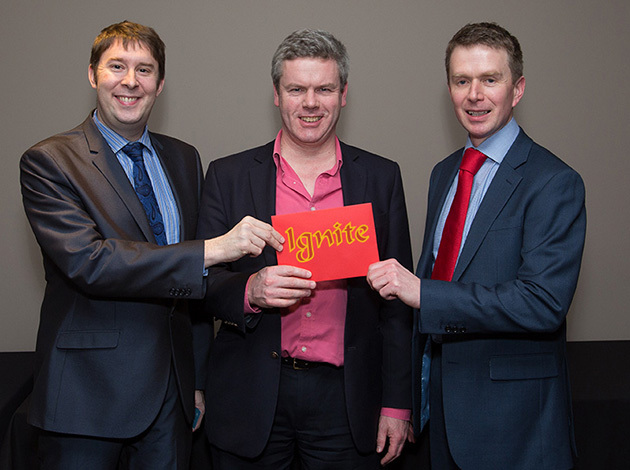 Leading leadership consultant, Dr David Fraser (centre) won Ignite gift vouchers which were presented by Matthew Storey and Steven Mitchell (right), Director, The Nth Degree. Event photography by Mark K Jackson.